We are excited to have you! LifeBridge International Church is a Bible- believing, multi-cultural community striving to share the love of Jesus in Panama City, Panama. We exists to be a home for the English-speaking community and connect people through the love of Christ. We are eager to get to know you! 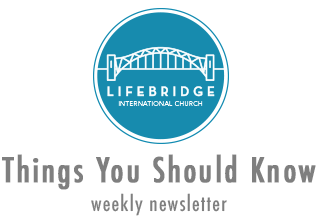 By providing your contact information you can be in touch and you will receive information on what is going on weekly at LifeBridge.